J.D. Tippit – Do you remember who he was? I don’t like the overuse of the description “hero”. Often when we talk about people placed in extraordinary circumstances who perform well or give their life while performing their duty, we use that word. When I researched for today’s blog, I saw “hero” used several times to describe J.D. Tippit. I prefer to call him a “good man” doing his job. Tippit’s name will forever be associated with the assassination of President Kennedy. 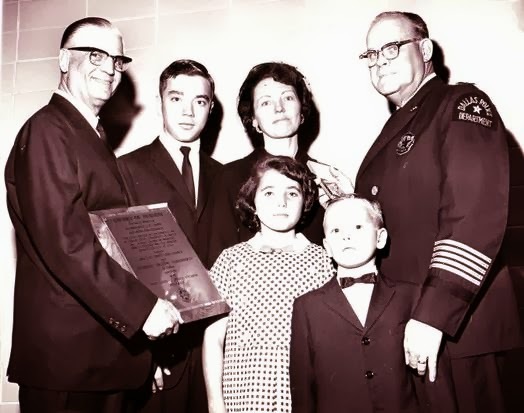 It’s unfortunate that two other names are better remembered and written about more often than that of the Dallas police officer who was murdered that day by the same assassin. Kennedy’s murderer and the strip-club owner who killed him have names that are readily recognized by most people. Every story about Kennedy is likely to mention one or both of them. But, based on my informal poll, only four in ten readily recognize the name J.D. Tippit as that of the Dallas officer killed that day in 1963. He was born into a farming family in Red River County, Texas. Tippit was a soldier in World War II. He returned home and married Marie Gasway in 1946. 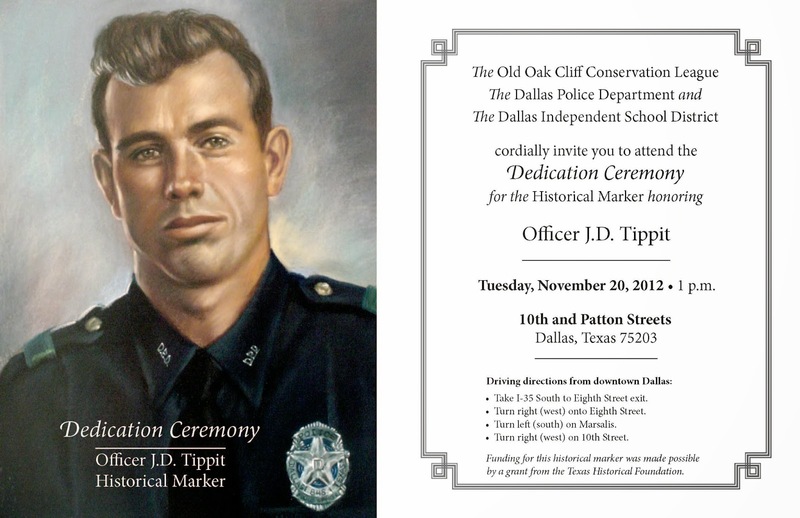 After trying his hand at farming, Tippet soon left the farm for a job as a Dallas police officer. Like many in law enforcement, despite the myth that most grow up wanting to be police officers, J.D. Tippit became one in order to provide for his family. J.D. and Marie had three children and before long he was working two extra-jobs to supplement his police salary. At least twice during his police career he cheated death. On one occasion he was stabbed with an icepick after answering a call, and the second time a man pulled a pistol, pointed it at Tippit’s face and squeezed the trigger. The weapon didn’t fire. He and his partner shot and killed the suspect. Less than an hour after the assassination of President Kennedy, Officer Tippit was patrolling in the Oak Cliff area just outside downtown Dallas. He saw a man walking who fit the description of the suspected assassin and when he stopped to question him, the man pulled a pistol and shot him four times. J.D. Tippit was dead before assistance arrived at the scene. President Kennedy’s assassin was identified by multiple witnesses as the murderer of Officer J.D. Tippit. Author Dale Myers has written a book, With Malice, about the murder of J.D. Tippit. With Maliceis published by Oak Cliff Press. The book was first available in 1998, but is now being released as an updated 50thanniversary limited edition. I haven’t read the book, but discovered a webpage maintained by Oak Cliff Press which provides an abundance of additional information about this ordinary man, placed in such an extraordinary circumstance. It’s available at http://www.jdtippit.com/index.html. During November this year, hundreds of Dallas officers will pay tribute to J.D. Tippit by wearing a commemorative badge honoring him with this inscription, Patrolman J.D. Tippit, #848, EOW 11-22-63. (End of Watch) You can read more about this tribute at http://www.dallasnews.com/news/jfk50/explore/20130828-badge-of-honor-dallas-police-gearing-up-to-honor-fallen-officer-j.d.-tippit.ece. It’s easy to call a man a hero and say a few nice words about him before placing his memory far back in the recesses of your mind. But even though his actions that day fall well within the definition of “hero”, I hope you remember him as his family does. I wager that he would prefer these words, quoted in the Dallas Morning News and attributed to his widow and eldest son, than to be called hero by those who never knew him. “He was a man who made you want to live right. He loved his family and he loved his kids, and he’s the example I hold up for my kids.” Charles Allan Tippit, first son of J.D. Tippit. “He was a good man who was killed doing his job. That’s what people need to remember about my husband.” Marie Tippit, widow of J.D. Tippit. 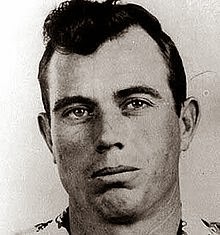 Great post about JD Tippit. It is a shame his name has slipped from public memory. Sometimes, people neglect to remember ordinary men and women who perform extraordinary jobs.